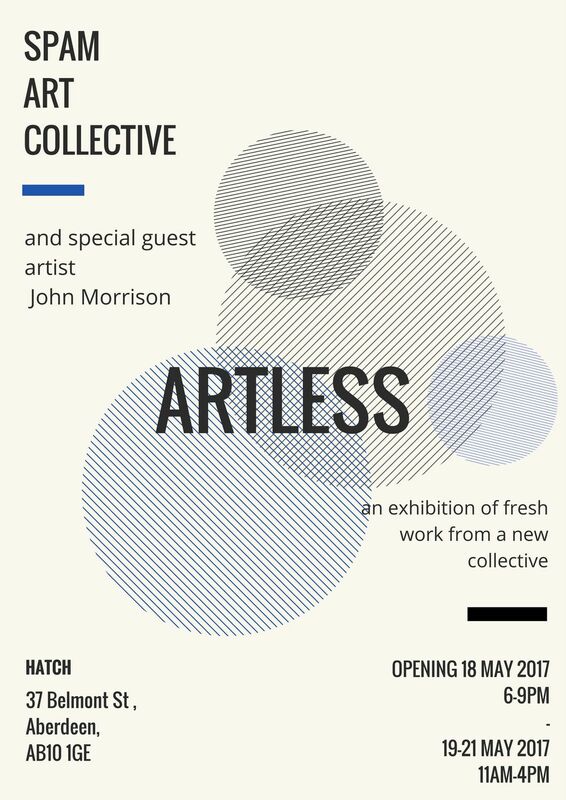 An exhibition showcasing artists of 'Spam Art Collective,' recent graduates of Grays School of Art including guest artist John Morrison. Aberdeen City has been the creative hub for the members of ‘SPAM Art Collective’ who are all graduates of Gray’s School of Art and have witnessed first-hand the cultural rejuvenation of the city where their practices have flourished. Not wishing to sit back at the side-lines, they have produced an exhibition to showcase their development as artists and as individuals as they find their voice in a post-art school landscape. Also contributing to the exhibition is local artist John Morrison, who is part of ‘Peacock Visual Arts’ which has been a cornerstone of Aberdeen City’s culture since it was established in 1974. ‘SPAM Art Collective’ was founded by graduates of Gray’s School of Art shortly after the end of their studies in 2016 with the intention of contributing to the ever growing art scene in Aberdeen by bringing the community pop-up shows, exhibitions and zines. Due to the various disciplines shared by each member, this brings forth an exciting arrangement for broadening the audience’s views on a range of subject matters. These contributions provide a forum for the members as they make their mark in the fast paced, socially engaged world of today. ‘Hatch’ is an exhibition and incubation space, a stone’s throw from the renovation works of Aberdeen Art Gallery on the cobbles of Belmont Street. The young space provides a unique opportunity for innovation and inspiration in which ‘SPAM Art Collective’ can showcase in the heart of Aberdeen City.